An ACS guideline score was assigned to each participant, and respondents completed a lifestyle survey. 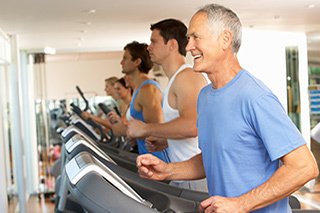 A lifestyle consisting of regular exercise, healthy diet, and maintaining healthy body weight may lead to longer survival among patients with stage III colon cancer, a study published in JAMA Oncology has shown. The goals of the American Cancer Society (ACS) Nutrition and Physical Activity Guidelines for Cancer Survivors are to maintain a diet rich in vegetables, fruits, and whole grains; a healthy body weight; and regular physical activity. Previous findings have shown that survivors of colon cancer who follow these ACS guidelines have an improved quality of life, but how adherence affects survival outcomes is unknown. For this prospective study, researchers assessed the outcomes of 992 patients who were enrolled in the CALGB 89803 study that evaluated the effects of combination chemotherapy in stage III colon cancer. An ACS guideline score was assigned to each participant, and patients completed a lifestyle survey, which detailed patients’ dietary and physical activity data, halfway through and 6 months after completing chemotherapy. After a median follow-up of 7 years, there were 335 and 299 cases of recurrence and death (43 deaths occurred without recurrence), respectively. Patients with a higher ACS score of 5 to 6 had a 42% lower risk of death compared with patients who had a lower ACS score of 0 or 1; a higher ACS score was also associated with improved disease-free survival. Once outcomes were adjusted for alcohol consumption, patients who consumed low to moderate amounts of alcohol with ACS scores between 6 and 8 had significantly improved outcomes for overall survival, disease-free survival, and recurrence-free survival.